Santa Breaks 2019 now on sale! We offer a choice of 3 nights or 4 nights stays in Levi and Ylläs, located just north of the Arctic Circle, where high standards of accommodation and a warm, friendly atmosphere make for a great stay in either resort. 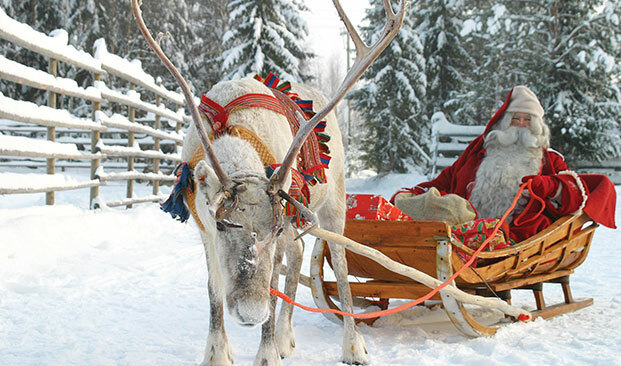 All of our magical Santa Breaks include an afternoon full of atmosphere and fun for the children, visiting one of Santa's workshops and making gingerbread with the elves, the chance to meet Comet the reindeer and various snow games for youngsters - with tobogganing and snowballs always being on the agenda. Plus of course, there's the highlight of the day with a private meeting with Santa Claus himself guaranteed for each family. We also include arctic thermal over suits and warm snow boots for all adults and children (over the age of 2 years old - as these breaks are not recommended for infants). Meaning you can 'come as you are' with your normal winter outdoor clothing, and we'll do the rest, so you can relax and enjoy the Lapland snow. There is always time to join your choice of additional optional activities such as husky, reindeer and snowmobile safaris or perhaps try skiing or snowboarding, Finally, to round off your break, Santa will drop in on your special farewell Christmas dinner with a small present and certificate for the children. 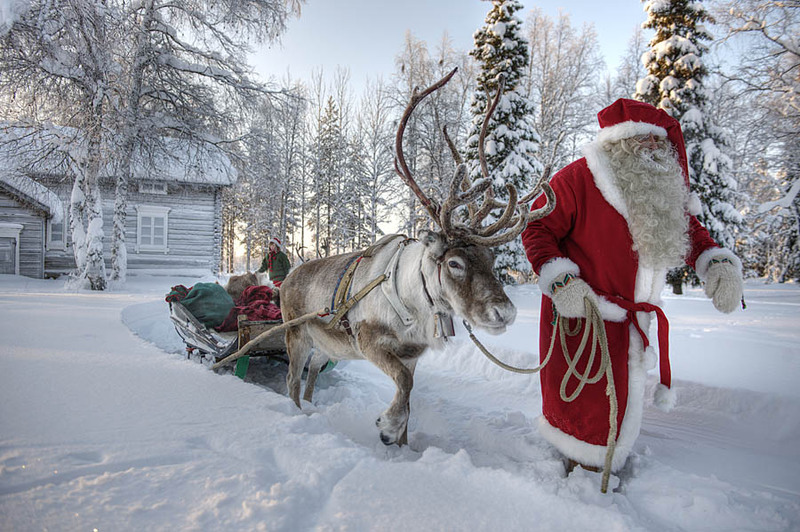 For even more festive fun, our 7 night Lapland holidays offer the opportunity to extend your stay- for a visit with Santa simply add the 'Santa's Hideaway' excursion and thermal clothing to your holiday at the time of booking. This is the ideal family break to get you in the mood for Christmas and whet your appetite for the winter season. See here for our FAQs. We are also pleased to introduce the fantastic 4 star Levi Hotel Panorama to our Levi programme, where all of our prices are based on half board included. Levi is a popular resort with a bustling attractive village centre, festively lit streets and a wide selection of souvenir shops, cafés, bars and restaurants all within easy walking distance from your accommodation. Ylläs is an idyllic unspoiled Lappish village with marvellous scenery and high-quality cosy log cabins dotted around the woods.